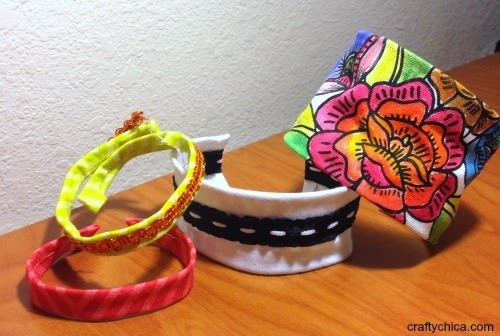 This project started as fabric twist ties and morphed into these crazy wired bracelets. 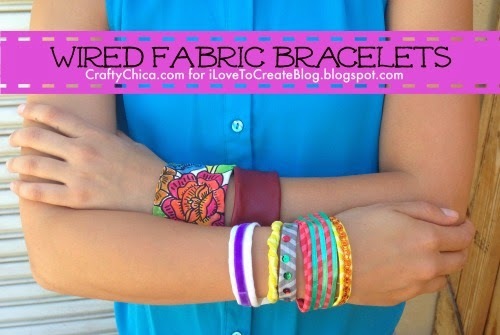 They are easy to make and fit every size wrist. 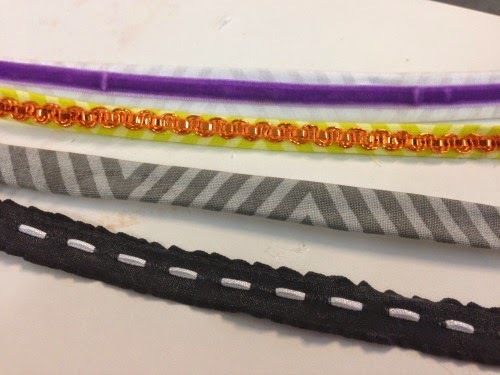 You can make them long and skinny to triple wrap them around your arm or make a giant cuff. OK, let's get going with the tutorial! Assorted fabric pieces: Heavier fabrics work better, like canvas or cotton. 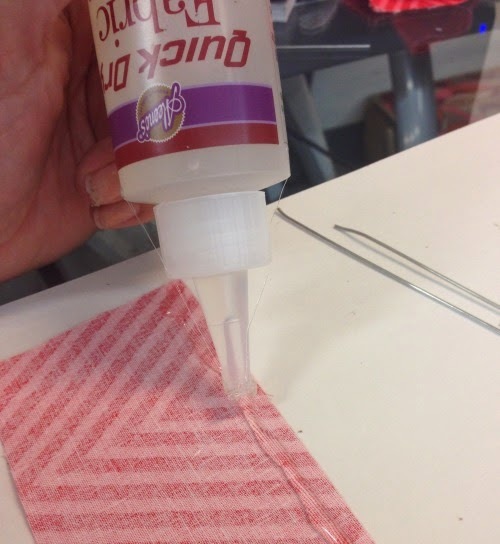 If you use a light leather, you'll need clothespins to hold the hem in place while the glue dries. 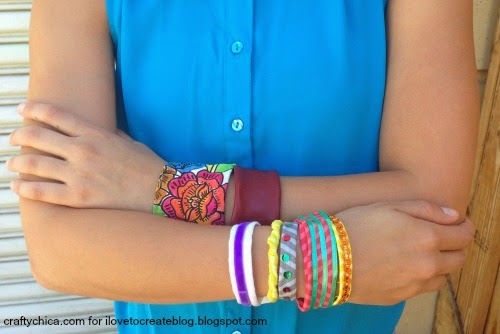 Cut a piece of fabric the length to fit around your wrist and your desired width. Do you want a chunky look, or a skinny look? Cut two pieces of wire just a bit shorter than the fabric. (For chunky, you'll need to add wire to the top and bottom, for skinny, just in the center.) 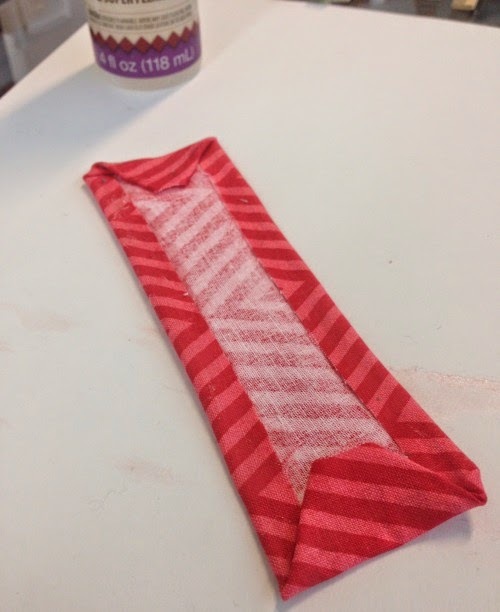 Add a line of glue along the edge. 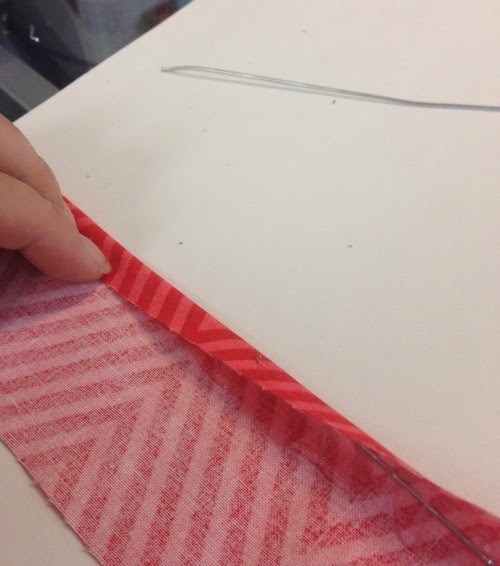 Fold the edge over and press in place with your fingers. Be careful not to get the glue on your fingers, it is STICKY! 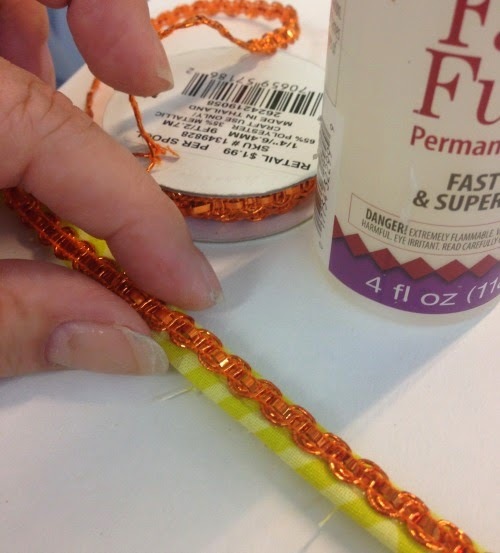 If you are making a cuff, do the same on the other end. Now seal the short edges. For a more polished look, glue another piece of fabric to hide the back side. I also made skinny ones. 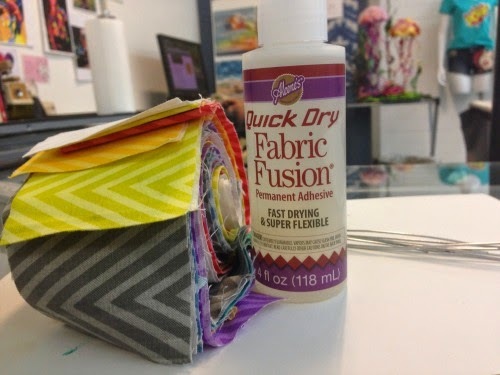 Add a line of Quick Dry Fabric Fusion and set trim, let dry. I love all the different textures! Once I started making these, I couldn't stop! Thanks for reading and checking out my project! Please leave a comment below. I love these....I made some just using floral wire from the Dollar Tree and love them!